I’ve never lived in a dorm before. 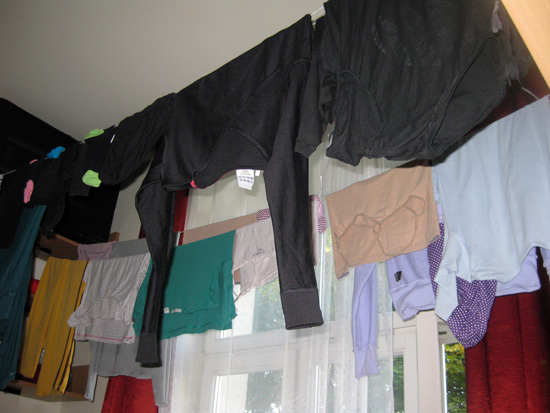 Imagine my horror when I turn up to find the sheets and towels provided are torn and stained, the bed may as well be made of rocks and – more importantly – there is not access to a fridge or a clothes dryer on the premises. The above is our makeshift fridge and Hills Hoist. I have no idea what we’re going to do when winter rolls around and it’s -15 degrees on a good day, but for now this works. This entry was posted on October 5, 2010 by lucychapman. It was filed under Uncategorized . Dorm life in and of itself can be an issue…. 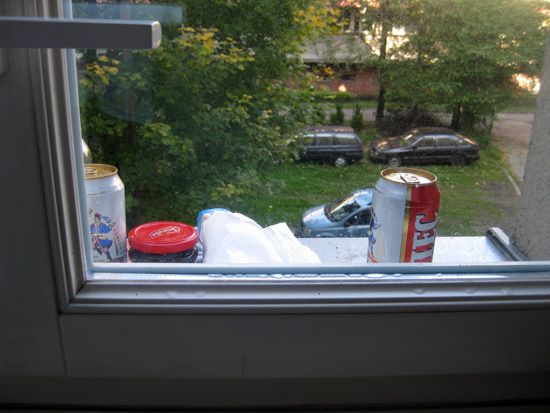 BUT “Dorm Life” in Poland seems massively challenging! From my perspective, you have been using lots of initiative just to get this far. Remember, comfort zone, challenge zone, courage zone – all character building stuff. Would love to hear about the three zones and your self growth as time unfolds in your host country.